How many times can you die for love? For twenty-one years Rachel MacReady has skated along -- pretty and carefree, with wealthy parents and plenty of friends. Fate handed Rachel everything a girl could want. But one icy night, a car crash unlocks memories from a very different existence. 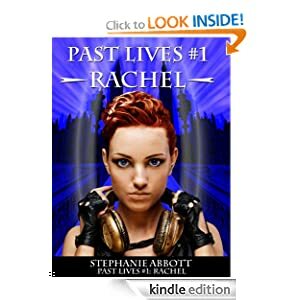 In 1870s England, in a steampunk subculture of Victorian London, Rachel was Cassandra Masters, a powerful telepath sidelined by the males who ran the Order. Cassandra sparked a rebellion so radical, its effects are still felt in the present day. She also fell for two very different men. Fellow telepath Dominic Belden -- black-haired and handsome as a Greek statue -- and Ted Harrington, the Order's rebellious, hard-drinking Master Telekinetic. Both men loved her. And both have returned in the present day to seek out Rachel. But therein lies the problem. Cassandra Masters died at just twenty-one, the same age as Rachel. And one of those men may have loved her to death.